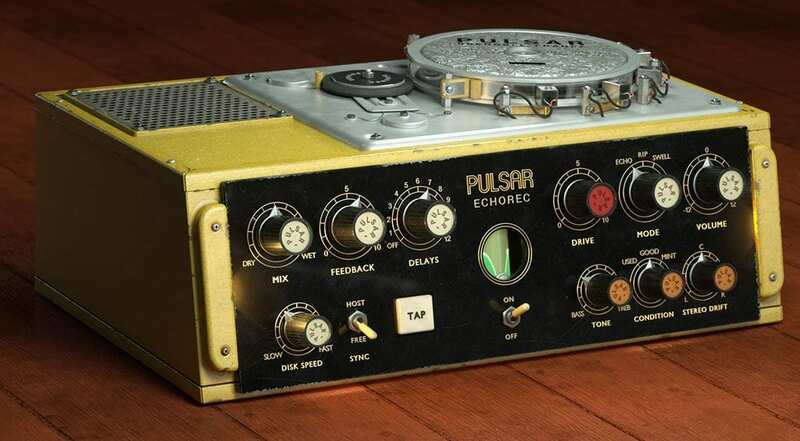 Pulsar has released the Echorec plug-in, an emulation of the classic Binson Echorec 2 delay from the 60s. The company says that while the plug-in is a faithful emulation of the original, it adds many workflow improvements and new features. 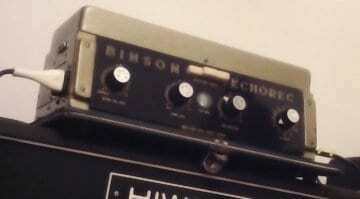 The Binson Echorec 2 is one of the iconic delay units of the 60s and 70s – not quite as famous as the younger Roland Space Echo RE-201, but a classic nonetheless. Instead of tape, it uses a revolving magnetic disk surrounded by record and playback heads. 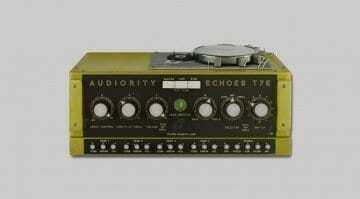 The Echorec has been used by many legends of that time, most notably Pink Floyd and Led Zeppelin, who used it to create the timeless drum sound on “When The Levee Breaks”. Needless to say, it has already been modeled a few times, including versions by Overloud and Audiority. 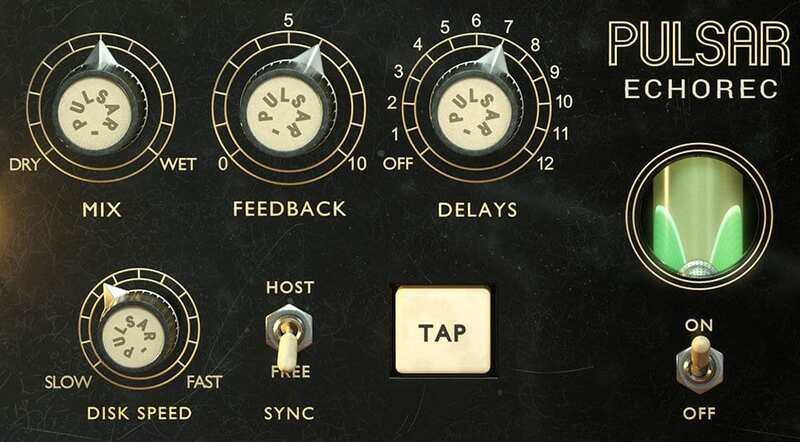 The new plug-in company Pulsar is now adding another emulation to that list. How does it compare? I’m not quite ready to make the call, but the soundbites in the video and at Pulsar’s website sound very nice! Magnetic delays are notoriously fragile and difficult to maintain, and the hum, noise, distortion, and wobble of units in less-than-perfect condition has now become a part of the classic sound. No one uses these for clean delays – it’s all about the imperfections! Pulsar says it modeled three different vintage originals in different conditions, in order to offer a variety of sounds from clean to grungy. Its developers also took care, the company says, to precisely emulate the Echorec’s tube input section, as well as the pre-emphasis filters, magnetic saturation and hysteresis. 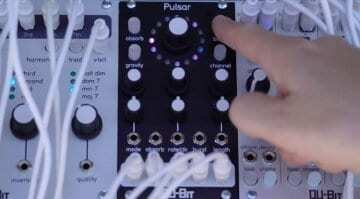 The Pulsar Echorec plug-in has a tap button and an off mode. Pulsar has added some features to the plug-in that the original didn’t offer, which is always a good thing. There is an option to slightly detune the left and right channels to get more stereo width. The Echorec plug-in also lets you change the motor speed in real time, sync it to the song tempo, and even tap it in. 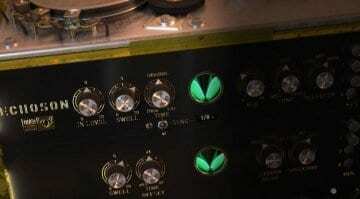 I really dig the “Off mode”, which gives you the sound of the tubes and magnetic disk without the delay. It essentially turns the delay into a unique preamp / tube saturator plug-in. Great idea! Pulsar Echorec is available for Windows (7 or higher) and Mac (10.10 or higher) in VST 2.4, VST 3, AAX and AU formats. The plug-in uses the iLok copy protection system, which means that you need an iLok dongle or an active internet connection to run it. Until May 15, you can grab the Pulsar Echorec plug-in for an intro price of 69 Euros. The regular price will be 99 Euros. The plug-in is available from the company’s website, where you can also download a full-featured 30-day trial version.